FUJCON 2019 the pre-eminent & most prestigious bunker forum for the Middle East bunker markets. The anchor event was successfully held from March 25-27 2019 during the “Fujairah Bunkering Week” – a week of specialized professional training comprising bunker courses and briefings, laboratory visits & an off-shore anchorage site visit to the Port of Fujairah – FUJCON has grown to enjoy international recognition and attendance from over 50 countries covering the full supply chain of the bunkering industry. Attended by nearly 500 participants from 35 countries, FUJCON has raised the profile of Fujairah as an internationally recognized service Anchorage, being amongst the world’s top three bunkering locations and as a global hub for both oil/crude storage and product supply. “FUJCON 2019 was a resounding success, and all delegates were enthusiastic about the high-quality content and outstanding speakers. Many told me they learned a lot by attending their first FUJCON, and that they intended to inform their colleagues about the outstanding learning experience. Everybody was also thrilled about the FUJCON app which made it much easier to participate." "For an upstream guy, I found the entire conference fascinating, with a wealth of relevant expertise for my latest role." "Congratulations for a successful 2019 FUJCON. The delegates obviously enjoyed it very much as was evident in many of the Q&As." "This year’s Fujcon packed the right punches by speakers and very, very smart and consistent questions by delegates. Kudos to the organizers." "I would like to congratulate you and your team on the successful FujCon 2019. It was my first FujCon and it was a fantastic conference with a lot of good feedback from delegates and customers." "Enjoying FUJCON 2019. Lots of learning and interaction with industry counterparts. Special Thanks to Ms. Vimla and her entire team at Conference Connection for all the pain and efforts taken to make this event happen." "I thoroughly enjoyed the event and I’m grateful for your terrific organization and hospitality"
"Have been attending FUJCON over years. This conference brings lots of insights about bunkering & oil industries. Looking forward to attend again." "Very informative sessions; great networking opportunities and excellent entertainment – FUJCON - All in one place!" "Forum provided speakers from different backgrounds which was very useful as opinions were expressed from different perspectives – port, owners, authorities, organisations"
"Opportunity for networking & meeting people; good information regarding IMO 2020"
"Very informative conference and opportunity to meet different people around the world"
"The conference provided a global outlook on the bunkering supply chain and a clear picture of IMO 2020"
"The conference was a great time to acquire knowledge"
"It brings together a good number of people from the industry and from Fujairah Government Authorities. Therefore a great networking and knowledge imparting conference"
"This event is always useful for knowledge update, experience and networking"
"This was one of the most beneficial conferences I have attended because of the topics & speakers"
Alternatively, you may click here to listen to the podcast. Dr. Fereidun Fesharaki is the Founder and Chairman of FGE. His work is well-recognized worldwide for pioneering oil and gas market analysis and studies of the Asia Pacific/Middle East energy markets since the early 1980s. Dr. Fesharaki received his Ph.D. in Economics from the University of Surrey in England and then completed a Visiting Fellowship at Harvard University’s Center for Middle Eastern Studies. Joined the East-West Center in 1979 and was a Senior Fellow leading energy-related research till end 2013. In 1989, Dr. Fesharaki was elected a member of the Council on Foreign Relations in New York. Since 1991, a member of the International Advisory Board of JX Holdings (and its predecessor companies)—Japan’s largest oil company. Dr. Fesharaki was the 1993 President of the International Association for Energy Economics (IAEE). In 1995, elected a Senior Fellow of the US Association for Energy Economics for distinguished services in the field of energy economics. In 2002, appointed a Senior Associate of the Center for Strategic and International Studies in Washington, D.C. In 2008, Dr. Fesharaki was appointed to the National Petroleum Council by then US Secretary of Energy and re-appointed by Secretary Moniz in April 2016. Received the Outstanding Contributions to the IAEE Award in 2012. He was a member of the Advisory Board of VOPAK LNG from 2013 to 2015. In 2014, he was appointed as Honorary Advisor by CNPC Research Institute of Economics and Technologies in Beijing. Dr. Fesharaki is the recipient of the 2016 Adelman-Frankel Award from the US Association for Energy Economics (USAEE) for his unique and innovative contribution to the field of energy economics. In March 2017, Chicago Mercantile Exchange (CME) appointed him as a Director of the Dubai Mercantile Exchange Limited (DME). Since 2009, he has been a member of the DME Board of Directors. Mike Muller joined Vitol in London this July as Director, Oil Business Development. Prior to this Mike spent 29 years at Shell where he was a member of the Global Trading & Supply Leadership team from 1999. In his last 5 years at Shell Mike led their global Crude Trading and Supply business. In the 1990s Mike was Trading and Supply Manager for Shell Australia and subsequent to this he spent six years in various business development and Trading roles in Singapore. Mike graduated from Cambridge University in 1988. Dr. Edmund Hughes is Head, Air Pollution and Energy Efficiency in the Marine Environment Division of the International Maritime Organization (IMO), the United Nations specialized technical agency responsible for the regulation of international shipping. As a member of the IMO Secretariat his responsibilities cover MARPOL Annex VI, the International Regulations for the Prevention of Air Pollution from Ships, including regulations on controlling emissions to air, energy efficiency for ships, and IMO’s work to address GHG emissions from international shipping. As part of this role he is Secretary to the Marine Environment Protection Committee’s (MEPC) Working Group on Reduction of GHG emissions from ships, the group that prepared and finalized the Initial IMO GHG Strategy adopted by MEPC 72 in April 2018. Capt. Mousa Morad is a Master Mariner, with more than 38 years’ experience in marine related activities and management. He holds a Postgraduate Diploma in Port Operations Management from Humberside College of Higher Technology, England, UK. Capt Mousa joined the Port of Fujairah as Assistant Harbour Master in 1981 and was appointed General Manager in 1995. During his tenure the Port of Fujairah, capitalizing on its strategic position outside the Straits of Hormuz, has undergone significant development both in berths and facilities and the range of its commercial activity. A major part of the Port’s commercial portfolio is oil related. Capt. Mousa is also a Development Committee Member of Fujairah Oil Industry Zone (FOIZ), which oversees Tank Storage Development in the Emirate, and is chaired by His Highness Sheikh Hamad bin Mohammad Al Sharqi, a Member of the Supreme Council of the UAE, and Ruler of Fujairah. The Fujairah Anchorage is internationally recognized as a major marine logistics location and Fujairah ranks with Singapore and Rotterdam in the world’s top 3 bunkering locations. Additionally, the introduction of new and extensive on-shore storage in the Emirate, a crude oil pipe line from Abu Dhabi to Fujairah became operational in 2012, and the development of further berths and the introduction of sea terminals mark still further expansion and growth. Fujairah is a major and pivotal location and, under Captain Mousa Morad’s leadership, will be at the forefront of the challenges and changes the Marine related oil industry will face in the years ahead. Dave Ernsberger is Global Head of Energy Pricing and Co-Head of Content for S&P Global Platts. Based in London, Dave took on overall responsibility for Platts pricing across oil, freight, generating fuels and petrochemicals in November 2016, and is a member of the Platts Executive Committee. Dave has been with Platts for more than 20 years, and in that time has worked in London, Singapore and Houston, variously as head of oil content, editorial director for Asia, and in a variety of roles covering metals, natural gas and electricity markets. Mr. Buamim is the founder and chairman of KB investments-uae which is a conglomerate operating in several sectors including oil & gas, energy, navigation and industry. maritime industry in the UAE and the region. Mr. Buamim is the former Chairman and Chief Executive officer of Drydocks world and Maritime world and Chairman of the Board of DDW-PaxOcean Asia PTE Singapore and has successfully led the organization through its restructuring during the global financial crisis. His leadership and direction have been instrumental in the company being able to acquire several pioneering projects on a global scale. This leadership has seen the company move from close to financial failure, create major synergies, recognize potential and place the organization firmly on a path driven to sustainable profitability and growth. Mr. Buamim is a Leading veteran in the oil and gas industry worked with Conoco and ConocoPhillips for 26 years and held various corporate and management positions, including vice president of Dubai oil company, a subsidiary of ConocoPhillips in the United Arab Emirates. He was also the President and Chief Executive Officer of Regional Clean Sea Organization (RECSO) the oil industry environmental arm in the Gulf region. Mr. Buamim is involved in a number of leading private & public organization, he is member of the Dubai Government Crises and Disasters Management Team, member of the Advisory board of Emirates Classification Society (Tasneef), Vice Chairman of the Federal Transportation Authority Technical Committee, Advisor to the Career Gulf Development and Senior Advisor in the Middle East and North Africa- Business strategies & International Energy. 2016, The International Prize in Human Resource Management, The Archimedes Achievement Award "for excellence and exchange of knowledge" - United States of America and many others. Holds Bachelor of Business Administration and Economics - United Kingdom and the National Administration degree in Crises Management and incident Command - United States of America and the High-accreditation on international human resources management (IPM) & a Credited executive in Mergers, acquisitions and transformation including corporate restructuring, finance and growth. Captain Al Ali started his career with NGSCO in 1996 as deck cadet and made his way through the ranks until he sailed as first UAE National Master on LNG carrier in 2008. Later in 2009 he joined the head office of ADNATCO-NGSCO to serve as Operations Manager, Tanker Fleet Manager and in 2013 was appointed Senior Vice President of Operations supervising the Operations of all LNG, Tanker and Dry Bulk Fleets as well as Marine personnel. Recently he assumed the role of Senior Vice President Shipping after the merger with ESNAAD and IRSHAD to supervise the Operation of all Shipping Fleet. He has been actively involved in sponsoring the energy efficiency project and maintenance optimization projects in ADNATCO-NGSCO achieving Energy Management Standard ISO 50001 and Asset Management Standard 55001. He supported the takeover of 16 new deliveries in 2011. Capt Al Ali has led his team into achieving various Maritime awards including ADNOC HSE, Dubai Sustainability, Maritime Standard and Sea Trade awards. He holds an Executive Masters degree in Business Administration from Zayed University and BSc degree in Maritime Business and Management from John Moores University in Liverpool. Cem Saral is the CEO of the Cockett Group (www.cockettgroup.com), one of the world’s leading resellers of marine and petroleum products and services, and has over 20 years of industry experience on marine fuels and fuel oil trading. During his career Cem has been employed at various key trading and management roles by leading oil trading and marine fuel oil companies. He has a wide geographical coverage and direct working experience in Europe, Asia, US, Far East and the Middle East. Having worked extensively at both marine fuels and fuel oil trading industries, Cem has a sound understanding of the entire fuel oil supply chain and physical trading on a global basis. As a further value-add, he has had the opportunity to employ these direct trading experiences into areas of business development, management and strategic M&A activities. Prior to joining to Cockett, Cem was last employed as a fuel oil trader by Vitol, one of the world’s leading energy and commodity trading companies (www.vitol.com) and 50% shareholder of the Cockett Group. Cem holds a BSc degree in Operations Research from Turkish Naval Academy and throughout his career he has attended a wide range of programs on trading, risk, finance and management. Mr. Keller is Chairman of SEA/LNG, a London based organization that is committed to furthering the use of LNG as an important, environmentally superior maritime fuel. Most recently, Mr. Keller served as Executive Vice President of TOTE Inc. He was the Executive leader of all of TOTE’s groundbreaking LNG initiatives including the development of the world’s first LNG powered, dual fuel container vessels. He started his career in 1968 at Sea-Land Service and served in many capacities. From 2000 until 2010, Mr. Keller was EVP and Chief Operating Officer of NYK Group Americas, Inc. At NYK he was also a member of the Governing Board of NYK in Tokyo for a number of years. He is the Principal of Peter I Keller & Associates and has acted as a Consultant to many leading Container Carriers as well as Ports, Terminal Operators and Intermodal service providers. He has served on many Industry Boards and was inducted into the International Maritime Hall of Fame in 2006. He was recently featured in Dynasties of the Sea written by Lori Ann LaRocco and published in 2018 by Marine Money. Timothy started his career as a Consultant at PricewaterhouseCoopers first in London and then in Madrid, in the Valuation & Strategy department, focusing on M&A transactions. He then got his MBA from INSEAD and later on joined the A.P. Moller Maersk Group in The Netherlands as a General Manager, focusing on New Terminals acquisition and development. In 2010 Timothy joined his family business, Fratelli Cosulich, where he sits on the Group Board of Directors and holds the role of CEO - Marine Fuel. Fratelli Cosulich is a diversified Group founded in 1857, fully owned by the Cosulich family, now at its sixth generation. The Group is active in a number of aspects of the Shipping Industry, from ship-owning, to ship-agency, freight-forwarding, catering, manning, yacht-services, and marine fuel trading and supplying. Fratelli Cosulich has offices in 15 countries, approx. 1,000 employees worldwide and a yearly turnover of USD 1.9bn. Timothy is also the Chairman of IBIA Asia and sits on a number of boards, including the Board of YPO Singapore, and the Italian Chamber of Commerce in Singapore. Unni Einemo has global responsibility for running the Association and was promoted to the position of Director, IBIA in September 2018. She joined IBIA on a permanent basis in April 2016 as its IMO Representative and Communications Manager following a period of two years as a non-Executive board director. Prior to joining IBIA, she worked for two decades as a journalist and analyst specialising in the marine fuel and shipping industries. She was a key member of the team that built up the highly regarded Bunkerworld and Sustainable Shipping news services, working as Managing Editor for these publications at Petromedia, and later Platts, which acquired Petromedia in July 2015. Through writing, and regularly attending industry conferences and meetings at the International Maritime Organization, Unni has gained expert industry knowledge. In 2014, she became the first ever journalist to be elected to the board of IBIA, where she contributed to the Association’s activities, including writing IMO proposals and participating in IMO correspondence groups on fuel-related matters. Prior to joining Petromedia, she worked with an international market intelligence dept. of the Financial Times Group in London. Unni is a Masters Graduate from the School of Oriental and African Studies in London, with a major in Contemporary Politics of the Middle East. Zarir Irani is a committee member of the International Chartered Ship Brokers (Middle East Branch) elected in November 2016. A Master Mariner with command experience. COC issued by MCA-UK valid until 2022 (FG Unlimited). Captain Zarir Irani with over 27 years of Maritime & Independent consultancy experience in the Shipping and Oil & Gas industry. He presently chairs the board of an International Marine Consultancy firm M/s. Constellation Marine Services LLC, which has its headquarters in London and is managed by an independent Board of Directors based in UK, advising oil, chemical & gas tanker owners and charterers on a regular basis with branch offices in UAE & Singapore. Zarir holds an MBA specializing in Marketing from one of the top ten (10) global MBA programs, as per Forbes listings. Expert witness to Abu Dhabi Federal Court of Appeal and to DIFC courts & Emirates Arbitration Center. Office Oslo (1990 – 2001); Washington D.C: (2002-2004); Oslo since January 2005. •	Participant in the SNAME Ad-Hoc Panels on Tanker Stability, Environmental Performance of Tankers, Structural Design and Response in Collision and Grounding, Protection of Bunker Tanks, etc. In December 2017 Eddie Gauci was appointed Global Head BP Marine Fuels based in Melbourne, after managing the Marine Fuels Business in Australia and New Zealand since 2009. BP Marine is the commercial face of BP to the shipping industry and we work closely with the Fuel Oil and Distillate trading books to provide a competitive offer to our customers in an increasingly commoditized market. Eddie joined BP Australia in 1986 and has held a wide variety of leadership roles in the Chemicals and Marine businesses over more than 20 years. After managing the Automotive Chemical sales and distribution activities for BP Chemicals in Australia, Eddie took on the role of National Sales Manager for BP Marine in Australia managing all domestic customers in the region and the interface into the wider global sales team. In 2006, he was appointed Regional Sales Manager Eastern Hemisphere. In this role, he was responsible for the sales of all Marine Fuel products globally, for the customers based in the Eastern Hemisphere. From 2009-2017, Eddie was Regional Marine Manager for the Australian & New Zealand Market, with responsibility for the supply, storage, distribution, logistics, sales and business development for BP Marine in the region. Eddie holds a Bachelor of Arts Degree with a major in Law and Sociology from La Trobe University in Melbourne Australia. William began his professional career with Imperial Chemical Industries (ICI) working in the Plastics & Film Research and Development Department before transferring to the company’s North Tees Refinery where he held the position of Operations Manager for a period of 10 years. In 1998 William joined Royal Vopak where he held various senior positions, his first appointment was Maintenance / Technical Manager for the new $80mil Vopak / Sabic Terminal Services (SABTANK) Joint Venture project in Yanbu Saudi Arabia. William remained with JV in the position of Maintenance Manager until 2004 when he was transferred to the Vopak / National Petrochemical Company of Iran (NPCI) Joint Venture project based in Tehran where he held the position of Technical Manager until the JV was dissolved in 2005. William successfully managed a multi-discipline Joint Venture Consortium project team commissioned by Qatar Petroleum (QP) and its various foreign Joint Venture partners (Oil Majors Shell, Exxon, Total and Sasol etc.) to formulate a single operator entity for the Ras Laffan Petro-Chemical Complex Qatar. In 2006 William was appointed Terminal Manager of Vopak’s 1.5mil/cbm (9.5mil/bbls) Petroleum Product Hub Terminal in Fujairah UAE, successfully expanding the terminals business portfolio and profitability prior to his appointment as Terminal Manager BORCO / Vopak Terminal Bahamas in November 2009. Upon the successful sale of BORCO in 2011 for a figure in excess of USD 1.5 Billion, William was assigned to the Vopak / Chevron Bahia Las Minas Project in Panama where he held the position of Interim Managing Director / Transition Manager until 2012. William’s next assignment was Terminal Manager of Vopak's largest Chemical Terminal in Deer Park Texas. In addition to the roles described above, William has been a leading figure in many of Vopak’s initiatives such as: One of 7 Vopak specialists responsible for developing the company’s Repeatability Formula, Overseas Specialist for Operational Efficiency Initiative (OEI) globally and assisted in developing some of the Vopak Minimum Standards. William resigned from Vopak in 2016 to return to Fujairah to take up the position of Operations Director at Fujairah Oil Tanker Terminal located within the Port of Fujairah where he is currently employed. After a career in the Merchant Navy for a period of 9 years, and a period ashore in Flag State and Port State Control at the National Transport Authority, Captain Mayed Alameiry joined Port of Fujairah as a marine pilot in 2012. In 2013, he took up the post of Assistant Harbour Master, culminating in the position of Deputy Harbour Master in December 2014. He is responsible for operational and navigational matters affecting the port, including pilotage and towage planning and performance management, vessel traffic management, aids to navigation management, marine casualty investigations as well as Port security. During his time at Fujairah, he obtained a MSc in Ship and Shipping Management. He serves as a member of the Maritime Transport Technical Council chaired by the Federal Transport Authority and sits on the maritime commercial law review & update committee. He is also a member of the local emergency response team of the National Emergency, Crisis and Disasters Management Authority. Dr. Mohammed Saeed Al Kindi has a Doctorate degree in Public Administration from U.S.A. He has had a distinguished career in Government of the United Arab Emirates as a Diplomat. Starting as Second Secretary at the Ministry of Foreign Affairs in Abu Dhabi in 1984, Dr Al Kindi was transferred to the permanent mission of the United Arab Emirates to the United Nations, New York serving from 1986-1995. As a member of the U.A.E. Mission, he represented the United Arab Emirates at the United Nations Security Council from 1986-1987 and the U.N. General Assembly during his post. He had attended many international conferences. Dr. Al Kindi had also served as Rapporteur of the Fourth Committee at the 45th Session of the United Nations General Assembly in 1988, Vice Chairman of the Fourth Committee at the 46th Session of the United Nations General Assembly in 1989. After he completed his tour of duty at the U.A.E. Mission, he was appointed Charge d’Affairs of the U.A.E. Embassy in Jakarta, Indonesia from 1995-1997. Dr. Al Kindi has served as Director of Ruler’s Office, Government of Fujairah, U.A.E. from 1997-2006. At this period he was also the Member of G.C.C. Consultative Committee (Parliament). He also served in the United Arab Emirates Federal Government’s Cabinet as a Minister for Environment & Water. 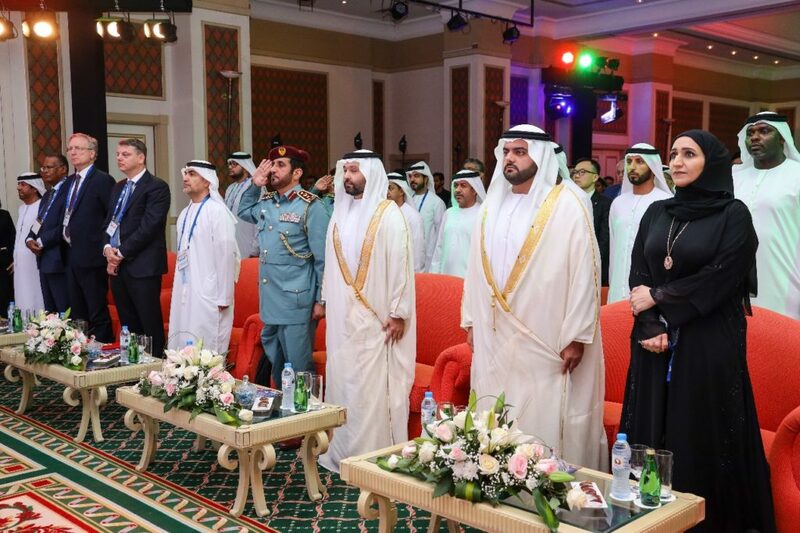 With over 500 participants from countries around the world expected to attend the Fujairah Bunkering & Fuel Oil Forum 2021, the Forum will continue to provide outstanding opportunities for renewing key business contacts and establishing new alliances.